Many people feel alone when facing insolvency. And they often feel like they’re one of only a few people experiencing the enormity of this kind of stress. As an insolvency practice of accountants who specialise in personal and corporate insolvencies—bankruptcies, liquidations, and all insolvency administrations in-between—we understand this feeling and see the varying levels of stress that can impact people and businesses. 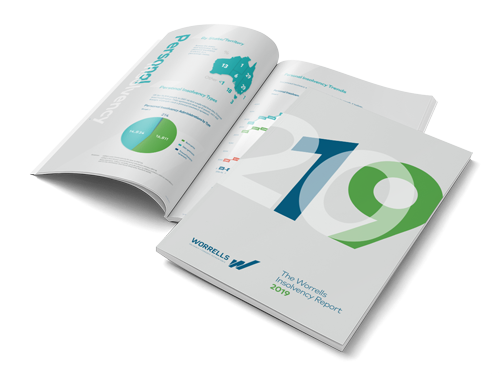 This Report aims to show the extent and reach of insolvency appointments, in all its forms, across Australia. By crunching the data, and adding anecdotal insight to the numbers, we hope it helps to soften the perception and judgement on debt issues. Debt affects everyone. Debt affects everyone in different ways, at different times of financial journeys, be it personal debt or business-related debt. At Worrells, we seek to understand and underscore the ‘solve’ in insolvency.